Perhaps it's only a matter of time before Skylar Ciccolini makes the jump from regional standout to national star. If Thursday was of any indication, the Mifflin County (Pennsylvania) High rising junior is on the right path. 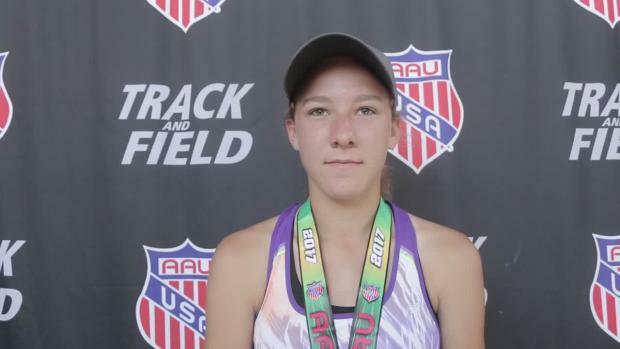 She certainly made a statement at the AAU Junior Olympic Games, winning the 15-16 girls javelin in a new AAU national record of 155 feet, 7 inches at Eastern Michigan's Rynearson Stadium in Ypsilanti, Michigan. The winning mark was less than 11 feet off her PB of 164-9, which she accomplished in June at the Iron Wood Throwers Classic, but it crushed the former AAU best of 149-1 last recorded in 2009 by Henry Martin. "When I let go of it, it felt amazing," Ciccolini said. "It took my breath away. It was awesome." Ciccolini's family background provides a strong example for her potential success in the next few years. The 15-year-old is coached by her father and assisted by her mother, both former javelin throwers at Cornell University. "They understand it way better than I do," she said. "Having them as my coaches is awesome. They understand what happens each time. That's what is helping me get better." That coaching has rubbed off quickly. She's only thrown for the past three seasons and finished second overall at the PIAA Class AAA Track and Field Championships in a mark of 154-4, leaving the spring season ranked No. 2 in Pennsylvania and U.S. No. 4 nationally. 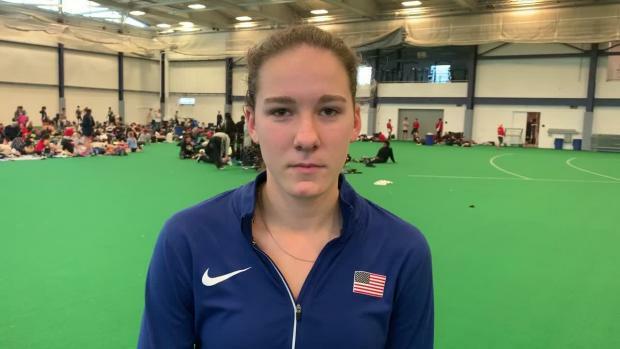 It seems like only a matter of time that Ciccolini could move up the national high school ranks and challenge the likes of Madison Wiltrout, a Pennsylvania peer and recent graduate of Connellsville High who scored the all-time high school national record of 185-8 in 2015. Ciccolini said her next goal is to reach 170 feet, though she's not rushing to get there just yet. She improved her marks by 30 feet from her freshman to sophomore campaigns, recording efforts over 160 feet three times in 2017. "I definitely want to hit 170s next spring," she said. "That's a definitely goal. I want to clean up my technique so I can hit the higher numbers." Wiltrout's national record also isn't out of the question, either. "I think that if I get the pieces right, it could be a possibility," she said. "I try not to focus on numbers so much, because I find it doesn't help me at all. I'm working on the positions and when the positions come, we'll see what numbers happen."